Szecesszió is the name for Art Nouveau in Budapest. Following the Hungarian Revolution and War of Independence in 1848-1849, the period of national resistance ended with the 1867 agreement between Austria and Hungary, the year when the country recovered its status as a kingdom and the birth of the Austro-Hungarian Empire. A peaceful period between 1867-1914 marked the high point of Budapest, which was created by merging three areas: Óbuda (Old-Buda), Buda and Pest. Rivalry with Vienna began at this time, culminating in 1896 with the millennium celebrations marking the arrival of the Magyar people to the Carpathian Basin. These were accompanied by large public works throughout the country and a major national exhibition focusing on art and science. The incredible growth of the city required a well organised urban planning authority: the Public Works Council, an administrative body that planned the urbanisation of complete districts and public space buildings in Budapest. The year 1896 can also be considered the beginning of Art Nouveau in Budapest, with the opening of the School and Museum of Applied Arts (1891-1896), designed by Ö. Lechner, an architectural experiment for a "Hungarian Style" building, combining elements and ornamentation inspired by popular Hungarian art and others of Hindu or Persian origins. The use of Eastern elements in a deliberate attempt to create a national style was aimed at recalling that the Magyars originally came from Asia. 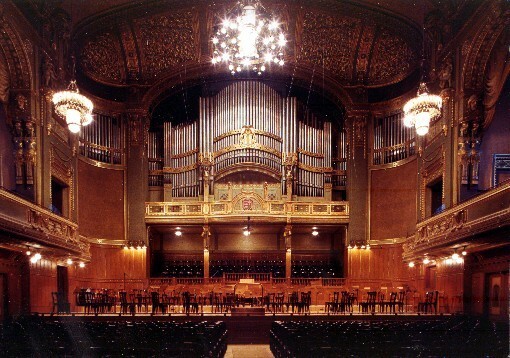 Other outstanding works by Lechner include the city's main post office (1899-1902) and the former Balázs Sipeky Villa. 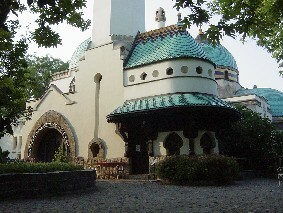 Other architects also joined in with this initiative, although they used popular architectural elements from Transylvania, as can be seen in the pavilions for the Budapest Zoo (1908-1909), designed by the architects K. Kós and D. Zrumeczky, members of the "Young People" group, comprising young architects who used pure structures taken from traditional Hungarian architecture and limited ornamentation. The influence of the Vienna Secession is reflected in some buildings, such as Gresham Palace (1907), by Z. Quittner and J. Vágó, the National Music Academy (1904-1908), by K. Giergl and F. Korb, the Gellért Spa Hotel (1911-1918), by A. Hegedüs, I. Sterk and A. Sebestyén, and the work of B. Lajta (1873-1920), who incorporated exposed brick into his Institute for the Blind (1905-1908). Lajta was at first a follower of Lechner but after his long journeys abroad and in Hungary, mainly in Transylvania, where he examined traditional popular architecture, he became the founder and most important representative of Hungary's modern architecture movement. 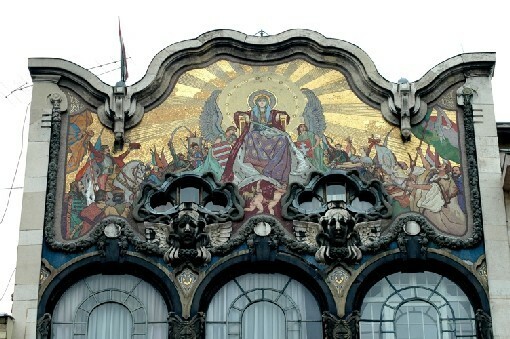 On the façade of the former Török Bank (1906), by H. Böhm and A. Hegedüs, one can admire M. Róth's sumptuous mosaics, representing an allegorical scene from Hungarian history. The building has a steel and glass structure, typical of the Modern Movement, and presents an undulating roof profile. 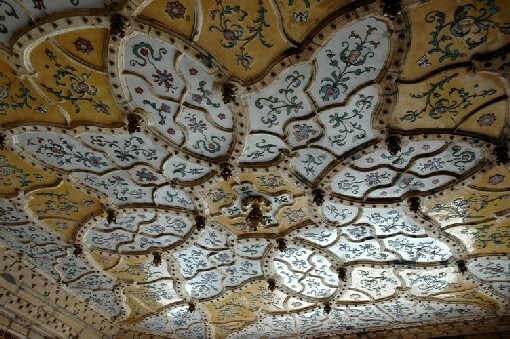 In terms of the applied arts, the Zsolnay Ceramic Factory in Pécs is a highlight, providing as it did the materials to cover the roofs and tops of buildings at the time, as is the stained glass workshop of M. Róth and the decorative sculptures of G. Maroti. It is also worth mentioning the creation of the Gödöllö Artist Colony, where painters, sculptors, architects and artisans worked together to research the entire spectrum of the arts. The main goal of the Gödöllö Artist Colony, headed by A. Körösföi-Kriesh, was to recreate a unity of life and art.